In today’s financial climate, you will want more than just a high quality product. You want someone who is more than willing to provide creative solutions to your industrial material handling demands and could back up that with the resources and knowledge necessary to create a positive impact on your company not only today, but for the coming years. It doesn’t matter if that signifies the operators training on the right use of machines, technical skills for the maintenance and care of the equipment and financial and fleet support to ensure you make the most of your ROI in the material handling investment. We at Miami Forklifts along with our expert team of technicians are always ready to help. Due to the fact that we are an independent distributor forklift parts dealer for renowned and big names companies, we are capable of getting your new parts from all makes and models in the fastest manner possible. Miami Forklifts is also very proud to be the leading provider of new and used forklifts in Miami and nearby places. 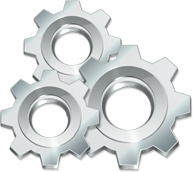 We maintain million dollars of the new forklift parts inventory, servicing any kinds of material handling equipment. Cost control and inventory are also accessible. We also offer remanufactured engines that could give the advantage of five to ten percent better fuel economy as well as reduced emissions. What is more, we have our own tire pressing truck and for the convenience of our clients, we could have forklift tires set up at your place without the mobile tire press. It doesn’t matter what model of equipment you use at present as we are extremely likely to have the new parts you want in stock. When we do not have what you want in stock, we have lots of sources to assist you to know and find no matter what you need. We at Miami Forklift believe that security is the greatest importance in this business of material handling. That is the reason why our company carries a complete line of forklift safety products to help make your worksheet as safe as possible. 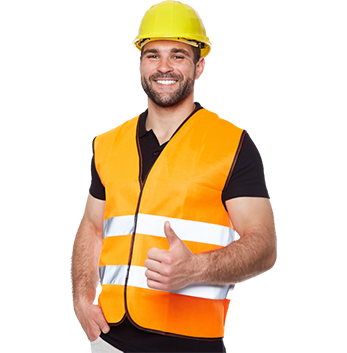 You can browse our wide selection of safety equipment. Our friendly and knowledgeable parts staff has many years of experience in this business and is totally equipped with the newest parts research programs to better serve your business. We are proud to give a customized service as well as offer national parts sourcing to Miami and nearby states. It doesn’t matter if you are searching for routine fast moving forklift parts and items or main engine work as Miami Forklift’s parts department will help you take care of your issues. Choosing the right forklift parts must not be an overwhelming task. This is the reason why we are here. If you find it hard to look for the parts you need, allow our experts to find it for you. They are skilled and well informed on the various parts of forklifts. You can visit our website or click here to see the wide selection of new forklift parts we offer and our specialist will be in touch with you. Please email sales@miamiforklifts.com or contact us at 786 507-1408 for a quote request. We are looking forward to serving you. © Copyright 2015 Miami Forklifts All rights Reserved.